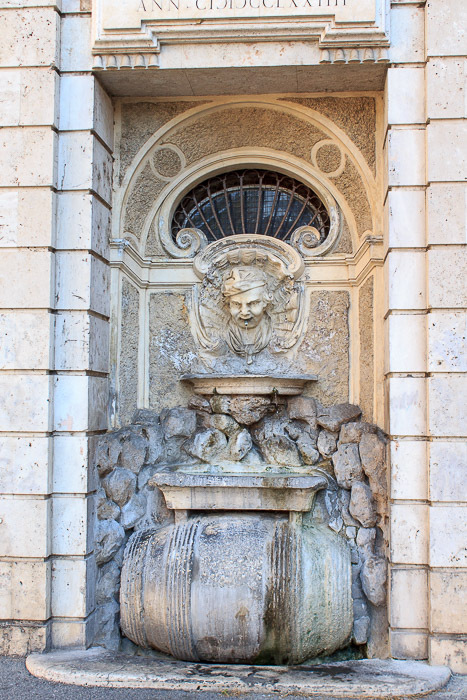 The Fountain of the Cask is dedicated to the holders of the wine, similar to the Porter Fountain, dedicated to carriers of water. 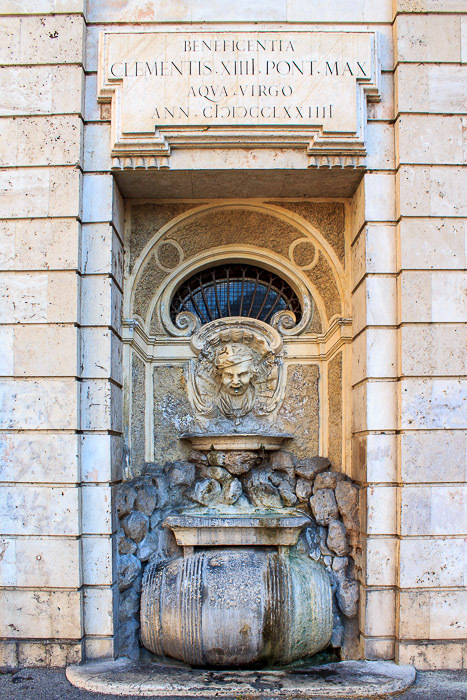 The fountain is located in a niche in the supporting pillar of the two arches beside San Rocco. 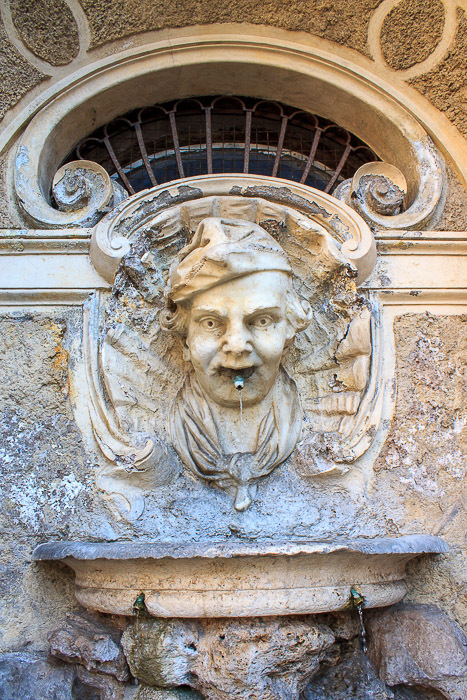 On top of a barrel of wine, the head of a smiling wine porter with a lopsided hat, typical of the porters, pours water from his mouth into a thin oval bowl suspended over a pile of stones. Two drains from the bowl spout water into a rough lower bowl in front of the rocks which in turn passes it into the mouth of a barrel on its side. 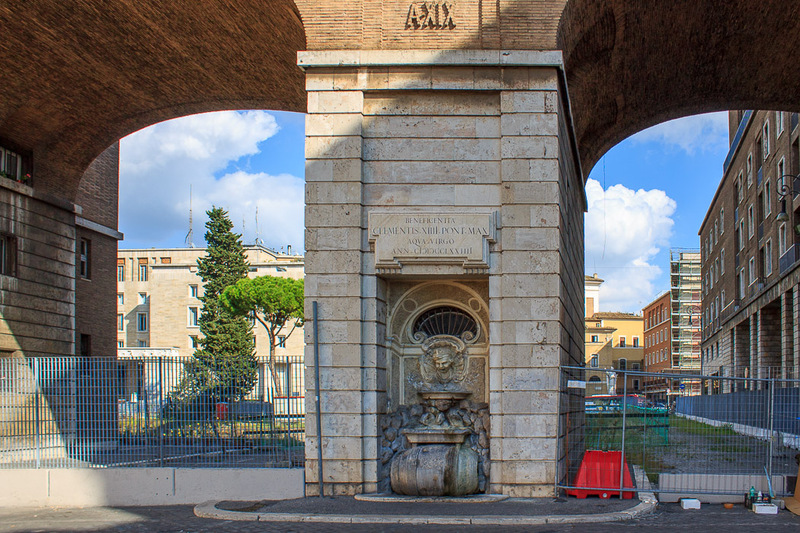 The water is collected in a shallow pool formed by a marble board at ground level. 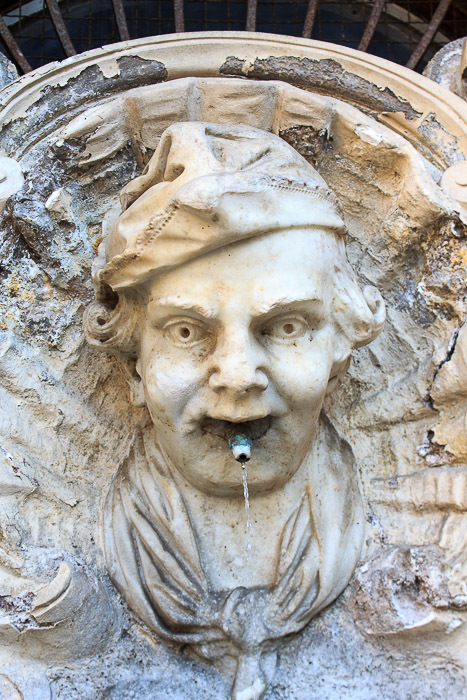 See all Fountain of the Cask photos.